Moving past the swoon-worthy start of "The Queen Is Dead," LAVOLA presents its slow and thoughtful crawl in the form of "I Never Said." The vocal ranges of Cires manage to adapt to every face of Leaving Paris, and his breathless croon of "If you were to awake, I never said I'd be awaiting your grand arrival," is reminiscent of Lovedrug's Michael Shepard and his most emotional deliveries. Lyrical themes cross songs as Cires touches upon the aforementioned grand arrival once again within the surging "Masochist," another highlight that ends brilliantly in a sweeping tremolo and crashing in its exit with a cacophony of clashing cymbals. 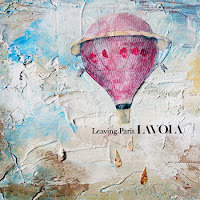 LAVOLA's consistency within the story of their lyrics is an appealing trait I'd like to see more bands adapt, as the reoccurring themes of masochism and the need for departure accentuate the emotionally tinged variations in tempo between each song; each piece feels like another chapter to this small tale LAVOLA presents us. The story's ending within the eventual crescendo of the title track leaves listeners with LAVOLA's hopeful goodbye for those involved, "Farewell my friends, I'm fleeing Paris for fairer weathers." LAVOLA's lowest points within their songwriting (the ballad qualities of "We Were Heroes For The Day," and some of Cires inconsistent vocal deliveries come to mind) don't even manage to come close to stemming the promise that flows from Leaving Paris. From the delightful screams of the guitar work within the instrumental piece "This City Loves You," to Cires' tendencies of allowing his nasally crooning slip into hoarse, emotional yells, LAVOLA's diverse display of emotional distress is their most endearing trait and one that has slipped its thin noose around my heart. 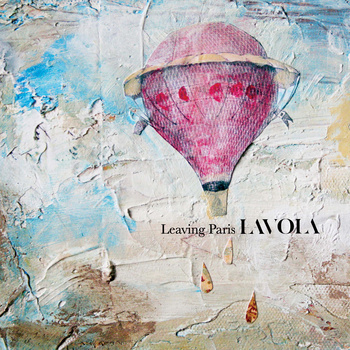 Leaving Paris may not be the best EP I've experienced in 2011 yet, but it's one that has kicked me the teeth and left me begging for more of LAVOLA in the future.